Come down to Chancellor Park Golf Driving Range - the best place to practice your golf game whether you are a seasoned golfer or a complete novice. It's peaceful and the scenery is stunning. Our 22 undercover bays lead onto a huge floodlit range of over 300 metres and we use quality Srixon balls and mats. Statistics show that 60% of all your shots are from 50 yards and in, and golfers have very little chance to practice for these important scoring shots. 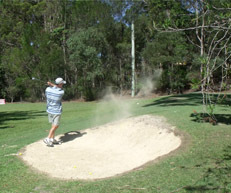 We have a great short game practice area, with sand bunker, allowing you to hone your skills for those closer shots. Chancellor Park Golf Driving Range has a unique supply of of golfing equipment. 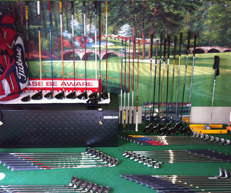 We carry a boutique selection of top end golf equipment, many with rare tour quality exotic shafts and heads. Memberships are available. Ask us for a tailored membership that may suit you!